Designing websites is not only about colour and layout. Learn how to create and develop websites like professional website designers. WEBSITE DESIGNING RULES: There are several basic web design rules and regulations you should never ignore. This section highlights the rules of good web design. Find out how neat features and quality content must combine when building effective websites. Follow these 10 rules of web design to create great websites. Good website design criteria starts with knowing how to design web pages. Most website creators will agree on the first few basic rules of website design. Your visitors and readers will get frustrated if you design a jumbled mess. You create confusion when you cram too much information into each web page. This uncluttered page is an example of how simple website design is beautiful. Scanning through rows of links and images makes a website difficult to use and navigate. Help your users find what they are looking for using simple and clean page layout. Experts suggest you have around 15 seconds to grab the attention of a web visitor. When they land on your page it's like meeting someone for the first time. You only get one chance to make a first impression! Your website has a similar opportunity to impress your visitor. After all, the look and feel of your website will be the first thing that makes or breaks user experience. Website design rules and regulations do not get any more important than simple navigation. Few obstacles frustrate readers more than being unable to find their way around the site. The more pages you have the more important clear navigation becomes. All web pages should be well-organized and easy to follow. Most modern websites have top-down hierarchy menu design. The aim is to provide all visitors with a way to browse through all the different content sections. People access websites using a wide variety of different devices. Some use traditional desktop computers and others use smartphones or tablets. The rules for designing websites apply for all three variants. 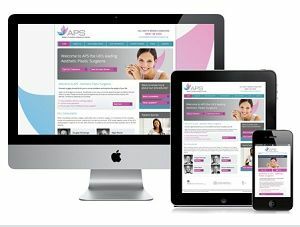 Your website should display correctly on a range of different screen sizes. Using responsive web design is crucial for optimizing a website in search engine results. Some website designers think browsers render all web pages the same way. In fact, they do not! So, how to design web pages for multiple browsers? Appearing correctly on all popular web browsers is part of good website design criteria. The best website design catches problems ahead customer complaints or bad user experience (UX). We must include consistency to our 10 basic rules of good web design. Design and layout consistency makes your site easier to navigate. You want to avoid showing your visitors a new website layout or design each time they open a new page. Color selection may not seem too important as one of the basic website design rules. But, we are certain that some page colours can make or break your creation. Be honest, have you visited websites that were painful to your eyes? We have too! As a rule, designing websites with pastel or neutral colours is the best policy. Be consistent with your colour palette and do your best to avoid clashing them. You can also improve the readability by contrasting the text against the background. Small errors might seem trivial in the grand scheme of good website design. But, even small incidental mistakes and omissions can ruin your masterpiece. All webmasters should make a habit of checking for broken links and typos. Check your images are loading when you perform your final edit. Images that do not load will leave a blank white space on the page. Some website design rules and regulations can get technical. Most sites use HTML or PHP coding as part of the development process. Writing your own website code from scratch has huge advantages. Building a website from templates and pre-written scripts is often the fastest way. But, how will you handle the bugs and issues when something goes wrong? Coding your own website pages means you get greater control over looks and performance. Now you have a beautiful website design shell and it is time to fill it with quality website content. Good websites combine great design with superior written content. The final rule of website design may be the most important. Web pages must have original or unique content to get rewarded by search engines. They fulfill their aim if they also satisfy the visits by your readers.